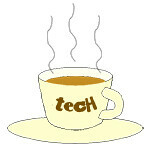 OptiPlex « Tech bytes for tea? I had the chance to be briefed on the line-up of computers from Dell and how they empower end-user computing for corporate users. Here’s a quick round-up. Starting prices of new additions incl.GST: XPS 14 (S$1,399), Vostro laptops (TBA), Precision T1650 (S$1,799), Latitude laptops (S$1,348), OptiPlex desktops (S$1,069). Dell’s updated line-up of laptop and desktop computers. Here are some of the latest refreshes in Dell’s line-up. All of them are Windows 8 ready but none of them have touch screens. Dell’s latest flagship Ultrabook: XPS 14 (starts from S$1,399). The latest addition to Dell’s line-up is the XPS 14 Ultrabook. The 14-inch laptop joins the existing 13-inch XPS 13 Ultrabook. The XPS 14 looks sleek and elegant, but felt rather heavy at 2.1kg. But it has a super-long battery life of 11 hours, so if you need that durability while on the move, and weight is not a problem, this is the Ultrabook for you. As part of Dell’s flagship XPS brand, the compact XPS 13 offers portability while the XPS 14 is only 20.7 mm thin and offers long battery life and connectivity on the go. Both laptops have enterprise-friendly features, such as security and services, to enable them to cross-over for enterprise use. In a shrewd move by Dell to ride on the BYOD (Bring Your Own Device) phenomenon, users can use their XPS Ultrabooks for personal use at home and bring it to work and connect to their corporate IT information systems. Dell Vostro 3460 laptop (price TBA). The Vostro 3360, 3460 and 3560 will be available this month. My personal favourite is the Latitude E6430s which fits a 14-inch display into a 13-inch body – the same form-factor as its 13-inch cousin. The laptop felt robust and rugged but rather light. I wouldn’t mind using it as my main workhorse. These laptops are designed to deliver strong performance and security for growing businesses. The Vostro series come in three sizes (13”, 14” and 15”) and three colours (Aberdeen Silver, Brisbane Bronze, and Lucerne Red). The 13-inch Vostro 3360 is only 0.76-inch in thinness. Dell Precision T1650 tower workstation (starts from S$1,799). The Latitude and OptiPlex portfolio of business laptops and desktops were refreshed in June and features durable, consumer-inspired designs that appeals to today’s professionals. Dell Latitude 6430s (starts from S$1,348). They are coupled with advanced manageability and data protection and ships with at least 2GB of memory, integrated graphics, Third Generation Intel Core processors, USB 3.0 ports, and optional 128GB SSD. The Dell Latitude E-Family and Dell OptiPlex feature physical ruggedness and sports long battery-lives of up to 32.7 hours with an optional 9-cell battery. The E6230, E6330, E6430 and E6530 laptops comes with 12.5”, 13.3”, 14” and 15.6” displays. The new design of the Latitude E6430s fits a 14-inch display in a 13.3-inch chassis. Dell OptiPlex 9019 All-in-One desktop (starts from S$1,069). The Latitude 5430 and E5530 laptops are targeted towards budget-conscious professionals and come with 14” and 15.6” displays. The refreshed Dell OptiPlex family includes the new OptiPlex 3010, 7010, 9010 desktops; and the OptiPlex 9010 All-in-One desktop. For powerful performance on a budget, there is the new entry-level Dell Precision T1650 tower workstation. The T1650 offers a broad range of Intel Core and Xeon CPU options, increased memory speed of 1,600MHz, and four USB 3.0 ports.